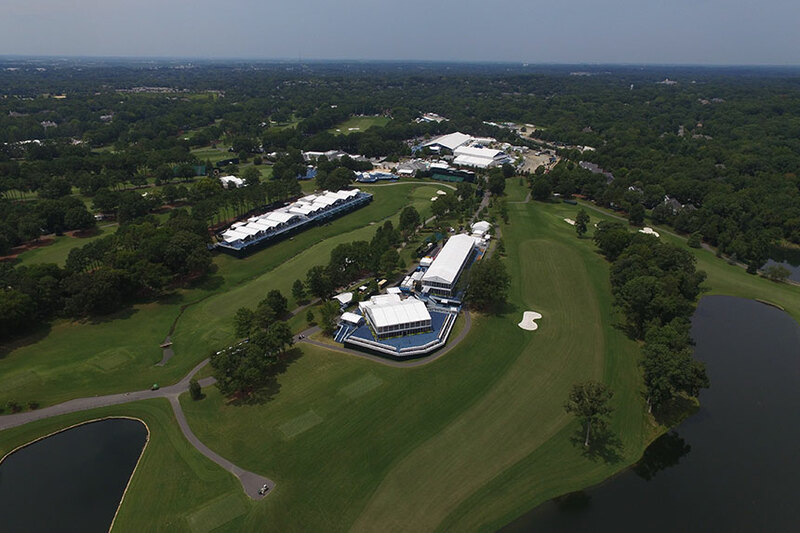 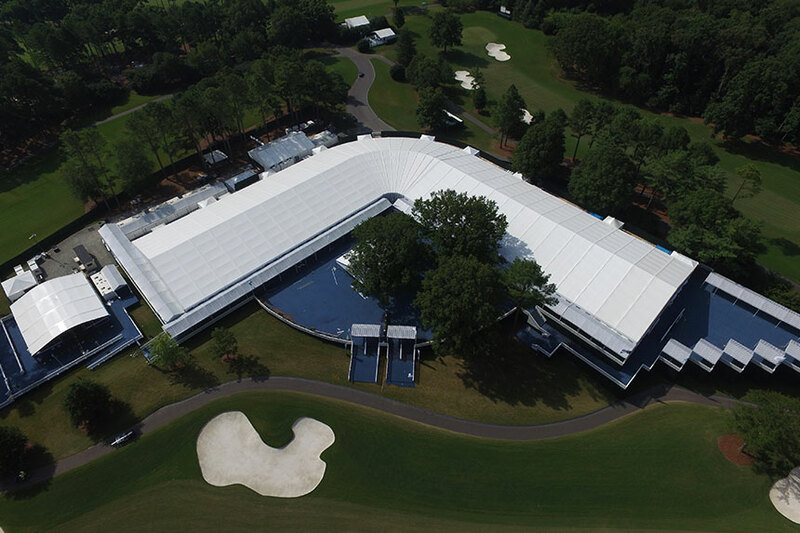 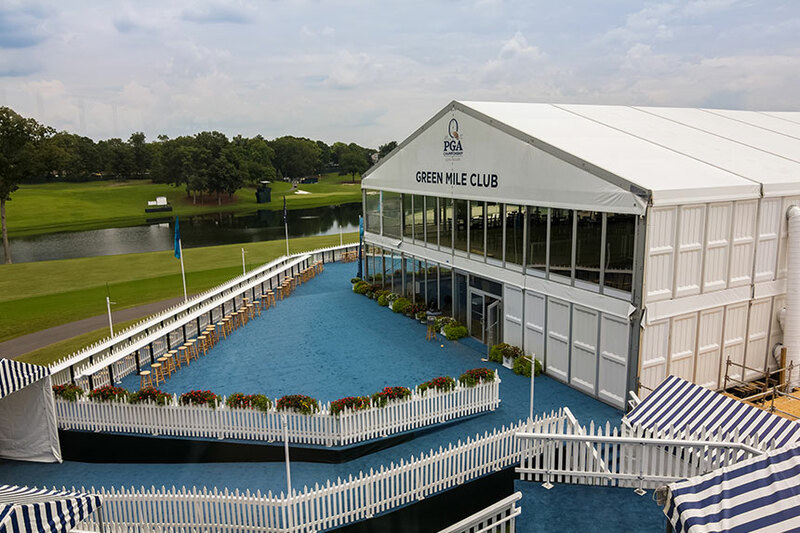 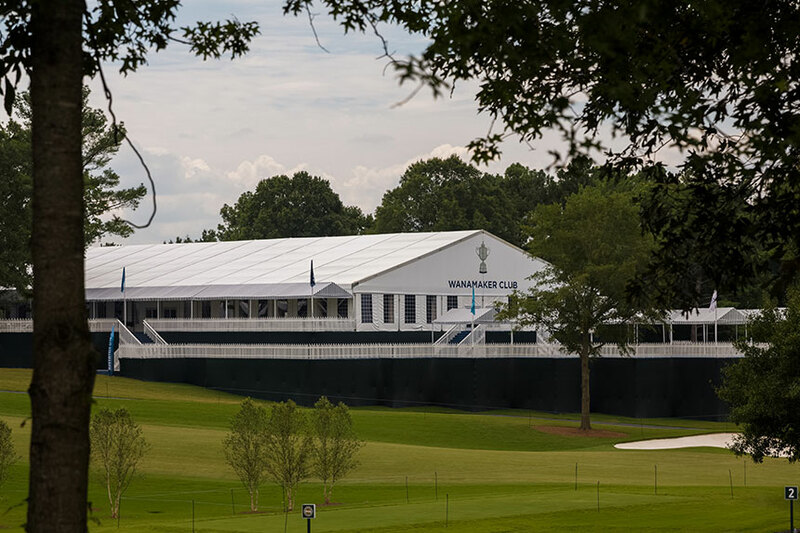 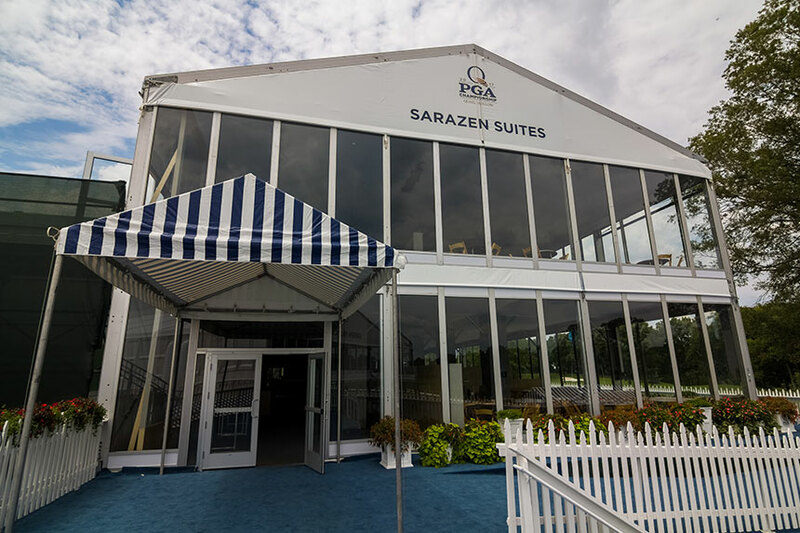 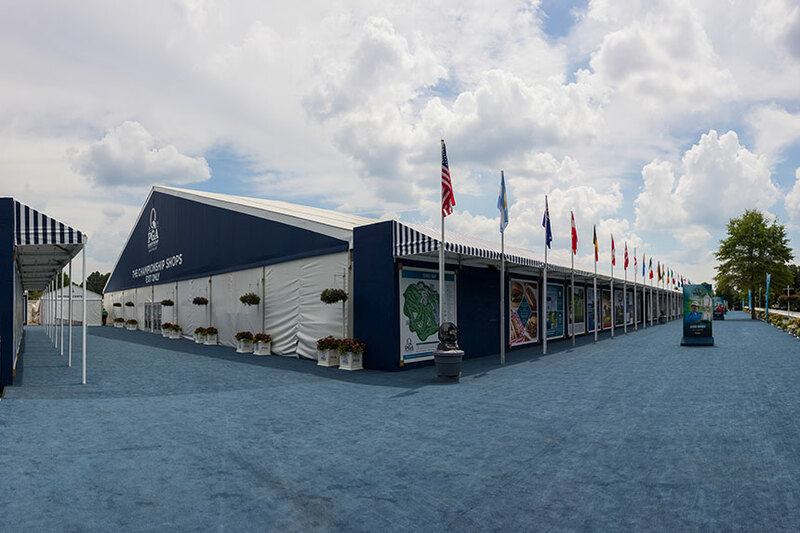 Arena Americas installed 387 tents – plus two double-decker structures – for the 99th PGA Championship at Quail Hollow Club in Charlotte, NC. 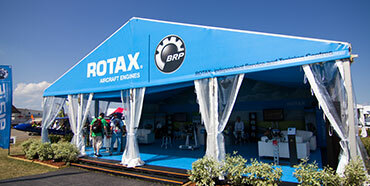 In total, more than 500,000 sq. 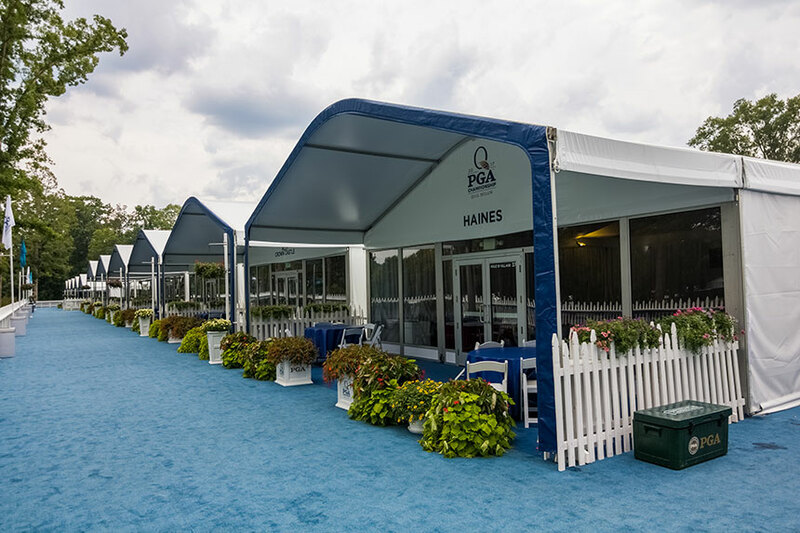 ft. of event space was needed to support sponsors, players, media, hospitality, caterers, ticketing, and viewing areas. 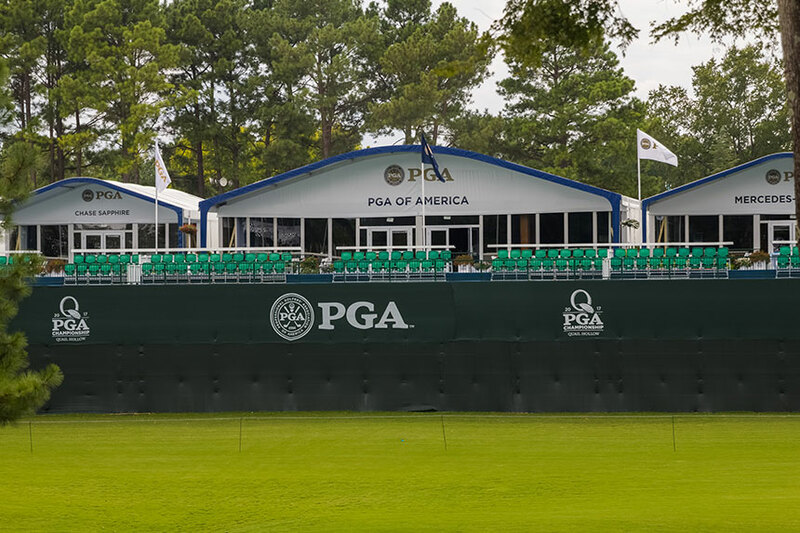 The 2017 PGA Championship broke records for ticket sales and corporate hospitality sales, and attracted more than 200,000 spectators! 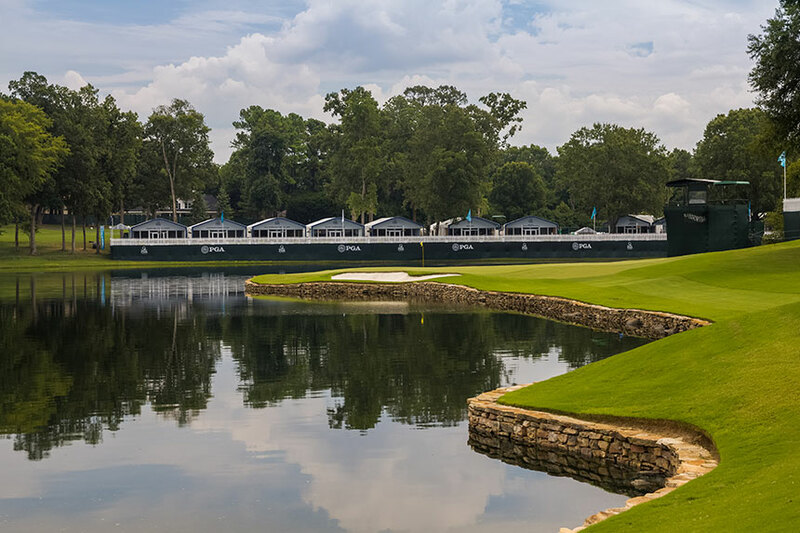 The Quail Hollow Club challenged Arena Americas setup crews with its course topography; however, the project required only 11 weeks for installation.